A new bill that would decriminalize payments for sperm, eggs and surrogacy is exposing tensions between those who say change is needed to ease the path to parenthood and others who warn the new law would commercialize the creation of human life. 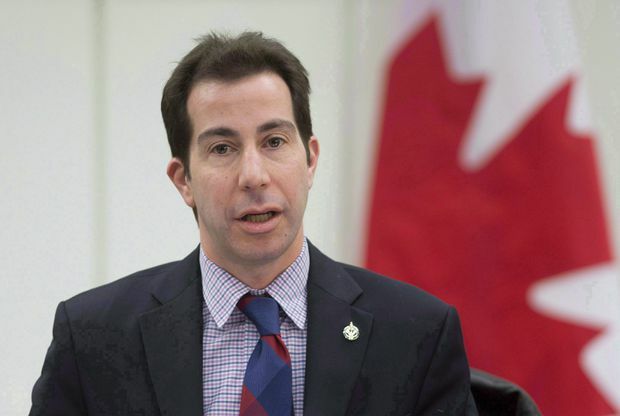 Liberal MP Anthony Housefather introduced a private member’s bill in the House of Commons on Tuesday that would lift the federal restriction that makes it illegal for Canadian sperm and egg donors or surrogates to be paid. The Assisted Human Reproduction Act, the federal law governing third-party reproduction, is plagued with problems, so it’s time to let the provinces make their own modernized rules, Mr. Housefather said in an interview. Liberal MP Anthony Housefather introduced a private member’s bill in the House of Commons on Tuesday that would lift the federal restriction that makes it illegal for Canadian sperm and egg donors or surrogates to be paid. The bill would also prohibit anyone underage or lacking capacity to consent from surrogacy or donation, as well as prohibiting the use of coercion. 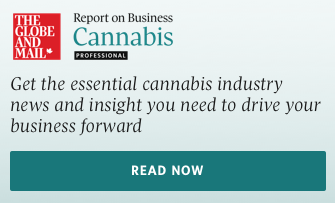 “I think that most Canadians would agree that this shouldn’t be subject to criminal sanctions,” Mr. Housefather said. The Assisted Human Reproduction Act came into force in 2004. But it’s had a controversial history, with some parts of the act deemed unconstitutional and struck down by the Supreme Court. Regulations needed to enforce other parts of the act were never written. In the interim, third-party reproductive services have been left to operate under a murky set of rules that fertility experts say punish would-be parents. For instance, it’s illegal to pay for sperm or eggs donated in Canada. But Canadians can pay fertility clinics to purchase those items from the United States, where compensation is legal. The cost for one unit of sperm is around US$1,500, while the cost for a batch of six to eight eggs is roughly US$25,000-US$40,000, said Beth Taylor, co-director of the Olive Fertility Centre in Vancouver. In Canada, surrogates aren’t allowed to earn money, as they are in a number of U.S. states, but they can be reimbursed for medical or other expenses, up to $20,000. The current framework makes it too onerous and expensive for would-be parents to use third-party reproductive services, Dr. Taylor said. If it were legal to pay Canadian donors, the costs would be halved simply because of reduced shipping and processing costs, she said. But a group of medical experts and ethicists say the changes would create a regulatory vacuum and turn the creation of children into a monetary transaction that could have worrisome consequences. In a joint statement, the group of seven experts, which includes law, health-policy and bioethics professionals, outlined several concerns, such as the possible exploitation of women. In addition, if the free market is allowed to dictate price, the cost for donor eggs, sperm or surrogacy services could also increase substantially, said Alana Cattapan, assistant professor at the Johnson Shoyama Graduate School of Public Policy at the University of Saskatchewan and one of the joint-statement signatories. Getting rid of federal restrictions means it would be up to the provinces to write their own rules on sperm, egg and surrogacy compensation. But what if some provinces don’t want to wade into this complicated territory? asked Françoise Baylis, Canada Research Chair in bioethics and philosophy at Dalhousie University. Prince Edward Island, for instance, doesn’t have a fertility clinic, so would the province create a regulatory framework for something that doesn’t exist? Without regulations, the process for obtaining donor eggs, sperm and surrogacy services could be rendered even more costly and difficult, Prof. Baylis said. While some experts say Canada should look to the United States as a model, allowing payment for sperm, eggs and surrogacy services as a way of making the system more accessible, others such as Prof. Baylis point to problems in that country, such as high costs and a lack of oversight, as examples of why Canada should not follow suit. Prof. Cattapan said that instead of passing Mr. Housefather’s bill, legislators should wait until the fall, when Health Canada is set to issue clearer rules about sperm, eggs and surrogacy. The department has been working on regulations since 2016 that would, among other things, spell out the expenses related to sperm, egg and surrogacy that would be eligible for reimbursement. Fertility lawyer Sara Cohen said that a new system is necessary to help Canadians who are being “held hostage” by the current regulations. “This is the opportunity to make it right,” Ms. Cohen said. What should be done about Canada’s assisted reproduction laws?